A few months ago, The Blount Countian published a story about the American Rosie the Riveter Association. At the time, none of its current members lived in Blount County. That changed when Virginia Simmons and her daughter, Charlotte Ann Simmons, read the article and contacted the group. Kennemur came to Birmingham and moved in with a sister already living there to work at Bechtel-McCone. She read blueprints, made templates for and helped to manufacture the parts. According to the Jefferson County Historical Association, the plant modified B-24 Liberators, B-29 Super Fortresses, P-38 Lightnings, and A-20 Havocs airplanes. Thomas M. West Jr. published an article in the Association’s newsletter in 2012 stating that at its peak, the plant employed 14,000 workers, 40 percent of them women. Kennemur returned to her family’s farm in Limestone County. It was there she came across a pictorial publication that featured photographs of all the local men and women who had served in the military. One photograph of a young man, Julius A. Simmons, caught her eye, she said. “When he gets home, I’m going to meet that man.” Her daughter described it another way. “Momma had a scrapbook with Daddy’s picture in it. Under it she wrote, ‘I’m going to marry him.’ We joke about Momma picking Daddy out of a catalog.” Before the war the two had never met, but she did eventually meet him and was as good as her word. The two were married for more than 72 years. The two moved to the Chigger Hill community between Cleveland and Locust Fork in 1974. They had four children, nine grandchildren, and 14 great grandchildren. 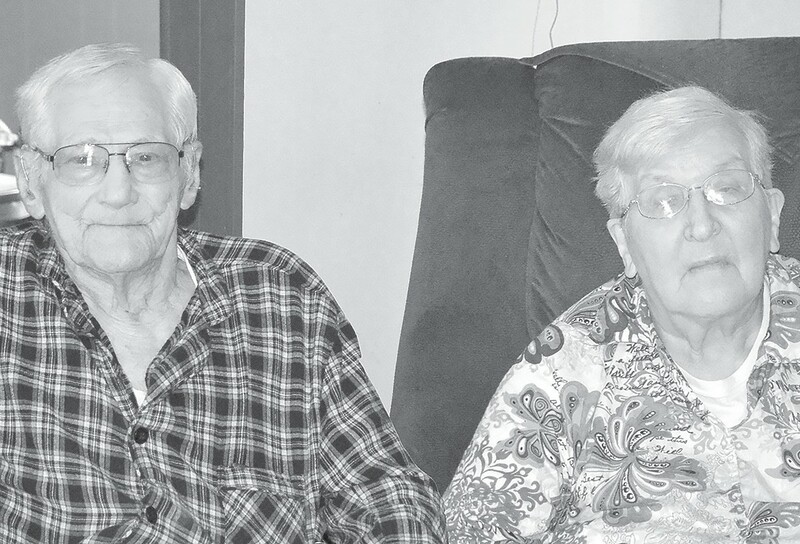 Both agreed they had a blessed life thanks to their faith in God and love for each other. The American Rosie the Riveter Association, an organization to celebrate and preserve the history of working women during World War II, was founded in 1998 by Dr. Frances Carter of Birmingham. The qualification to join as a Rosie is “any woman who worked for pay in a war-related industry or agency…or in any job that was usually held by a man, thus releasing a man for military duty.” The latter would include gas station operator, police officer, bus driver, farmer, construction worker, or any of the other occupations of that time historically held by men. Women who did not work for pay, but did volunteer work for the war effort can also join, as can descendants of a Rosie. Others who do not qualify in any of those ways, can join as a friend of the organization. To find out more about the group and membership contact Mabel Myrick by email at americanrosiethe riveter2@yahoo.com or call 1-888-557- 6743. To learn more about the organization go to its website, www.rosietheriveter.net. The Blount Countian is still interested in hearing from other local women who were Rosies and want to tell their story. Please call the paper at 625-3231. The Rosies’ place in history and the work they did in the war effort must not be forgotten.